We are called “The Voice of the People” because our authors come from all aspects of life, from entrepreneurs to the working class. All have the unique talent of expressing themselves intelligently by use of the written word. While our experiences may differ, we all share a deep commitment to and abiding love for the principals on which our Nation was founded. 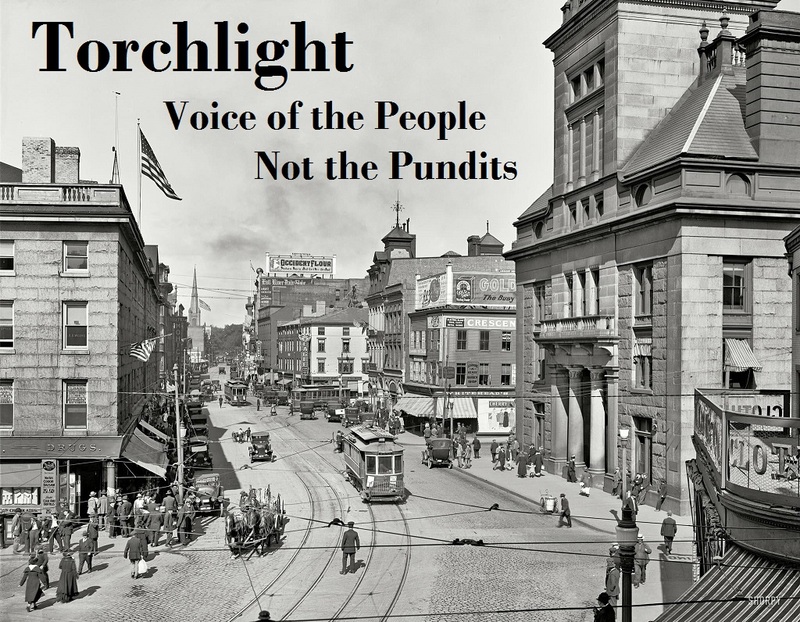 Each in our daily lives comes into direct contact with decisions made by the government for good or ill.
Torchlight is here so that those in the trenches, those who have their finger on the pulse of what’s actually happening in America, can communicate this directly to our readers without the filter of a press that has shown itself to be increasingly partisan. This was not what the Founding Fathers intended, so it is up to us, your friends, family and neighbors to take up that mantle. This is also why, unlike so many blogs, our Authors were chosen to represent a diverse group of political views from conservative to liberal to libertarian. We welcome comments about our posts but insist that the practice of civil discourse be strictly adhered to. Personal attacks, bad language and hate speech of any kind will not be tolerated. May you be both enlightened and entertained as together we navigate our way through the issues of the day.